A parent's first priority is to keep their child safe no matter where they are. When your toddler is still learning about the world, it's important to childproof their environment, and this includes your car. A moving vehicle can be a very dangerous place for a young child when it hasn't been prepared properly. The last thing you want is your child accidentally opening the door while you're driving or grabbing the car keys when your back is turned—the results could be disastrous. Before you rush out to buy childproofing devices, do the most basic step—cleaning out your car! Most cars are actually cluttered with small items that the average driver doesn't notice, like coins, water bottles, or tissues. These could become a choking hazard for your child if you leave them lying around. For those drivers that keep cleaning products or repair tools in the car, you should also keep them away. A curious toddler is likely to reach out for these unfamiliar objects and might end up seriously hurting themselves. You don't have to remove these things from the car altogether, just make sure they're organised neatly somewhere out of your child's reach. 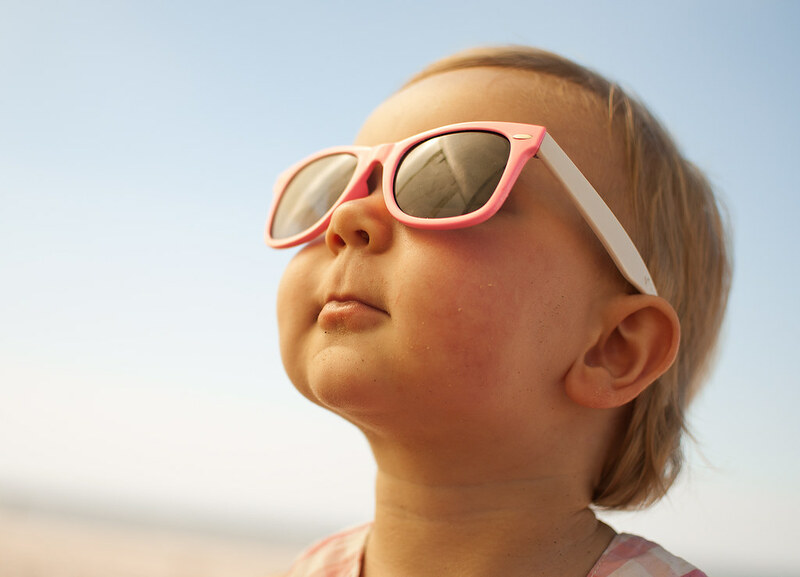 Did you know that normal everyday sunlight can actually cause harm to babies? If your child is still a baby or toddler, their skin will be especially sensitive and can easily burn from the sun coming in through car windows. One way to prevent this is to tint your windows, which will cut down on the intensity of sunlight coming in. For added protection, you can also use fabric or sticker sunshades. This step is especially important for those who take their children on long drives or need to wait in the car for extended periods of time. In Singapore's hot weather, it's better to get as much protection as you can! This next step is the most important: installing the child seat! Every driver with children knows that a child seat is an absolute necessity—but there's more to it than just buying one and plonking it in your backseat. The child seat you choose should fit your child's size and weight, so that the seatbelts will be able to secure him/her comfortably. A badly chosen child seat could result in overly-tight seatbelts that upset your child, or loose ones that don't do the job well. You may want to bring your child along when you're buying the seat, so they can try it out. Be sure to also check that the child seat is a good fit for your car. You don't want to spend hours finding a seat your child likes, only to find it won't fit in the backseat! The best place to install the child seat is the middle backseat. This keeps your child away from the doors and windows, and allows you to shift the driver's seat back if you need, without worrying about leaving space behind. Make sure you secure the child seat firmly to the car seat itself. If you intend to use the child seat for quite a while, it may be a good idea to buy seat protectors. The weight of a child seat can stress the leather of your actual car seat and leave ugly stretches and cracks. Seat protectors may cost a bit, but they'll preserve your beautiful leather seats and keep your car interior looking great. Now you've got your child seat installed, the next most important thing is to make sure your doors and windows remain locked at all times. Children are inquisitive, and it's very likely that they'll fiddle with the locks if they're bored on a long car ride. Most cars do come with child-locks that you can activate to make sure the doors don't open from the inside. If yours doesn't, you can consult your mechanic or manufacturer on getting them installed. Any parent can tell you that children get bored very quickly, and when they do, they can really make a fuss. To avoid this, it's a good idea to have some snacks and toys on hand to keep the little one entertained. If possible, choose simple toys that won't make much noise so that you won't get distracted while driving. Soft toys may be a good option as there is still a chance that your child might throw them around the car, and you don't want hard objects flying through the air. For snacks, finger food that doesn't have too many crumbs is probably the best option. But children being children, it's likely that they'll still find a way to make some mess. You'll want to prepare some towels and tissues just in case. One smart idea is to put a towel under the car seat that will protect your seats from any mess the child may drop. For the floor, you could use another towel, or perhaps some plastic sheets, to prevent getting stains on the carpet. Your child seat itself is likely to have a removable cover that you can wash every now and then, so no worries there. Of course, even when you've got all these measures in place, you still have to keep an eye on your child at all times. The best option is to have another adult in the car to take up this responsibility, but if there isn't, you can still supervise your child while driving. You can get a safety mirror installed so you'll be able to keep a constant eye on your child through the reflection. This will allow you to supervise without having to run the risk of always turning around while driving. If you want, you can even get a larger curved mirror that will enable you to watch the entire backseat area! Never leave your child unattended in the car, even if you're sure the doors are locked. A child left in a car for too long can suffer from heatstroke, or even carbon monoxide poisoning if the car is running. As far as you can, try to take your child with you if you're leaving the car—you can never be too safe when it comes to young children. Read more: 5 Simple Car Hacks for Mommies to Make Travelling with Kids Easier!